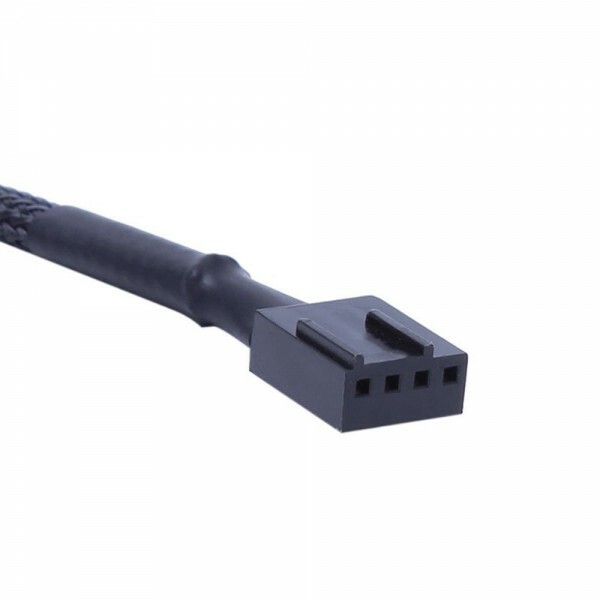 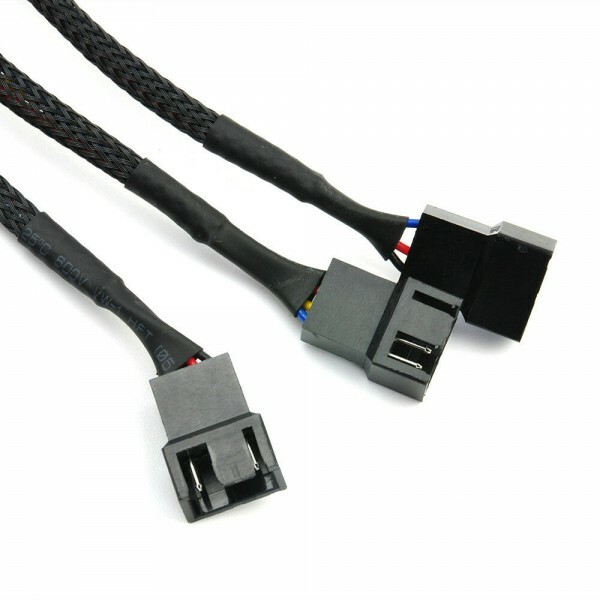 The LPC Fan Y Splitter Extension Cable allows for three 4-Pin / 3-Pin fans to use one motherboard Fan header or one standard 4-Pin power cable from a power supply or a fan controller. 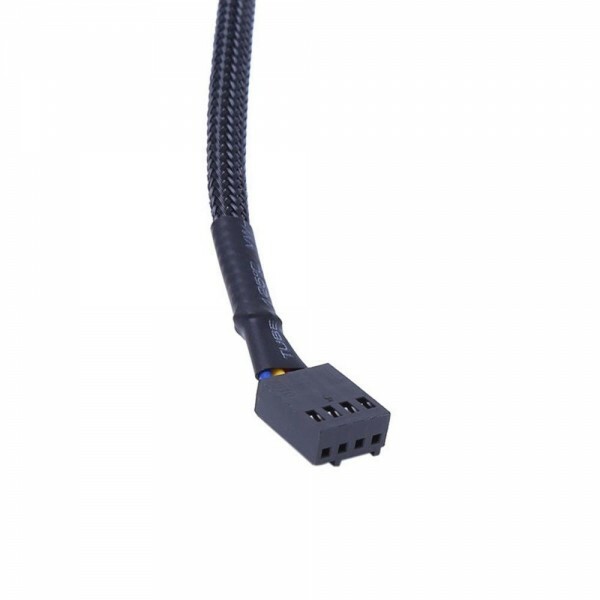 The extension cable is sleeved and heat shrunk. 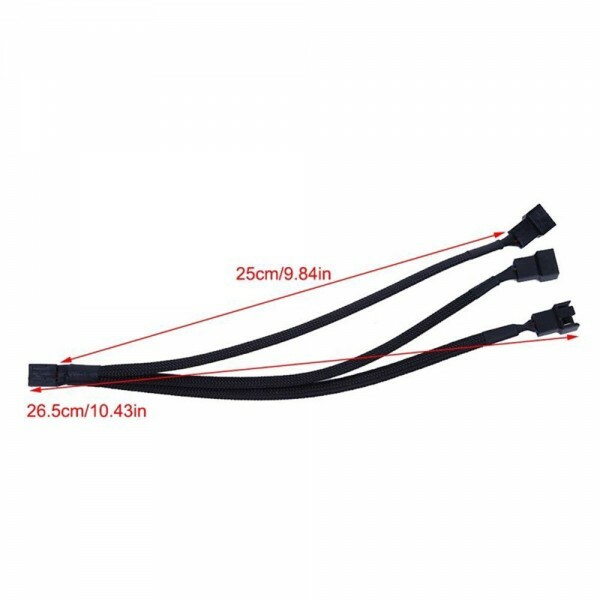 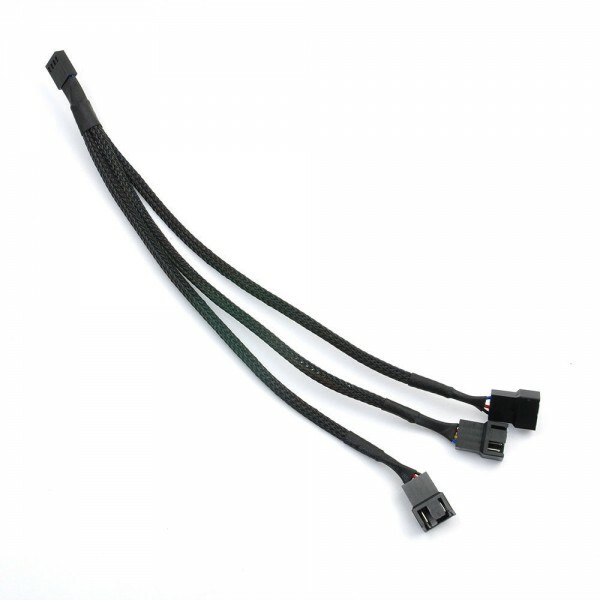 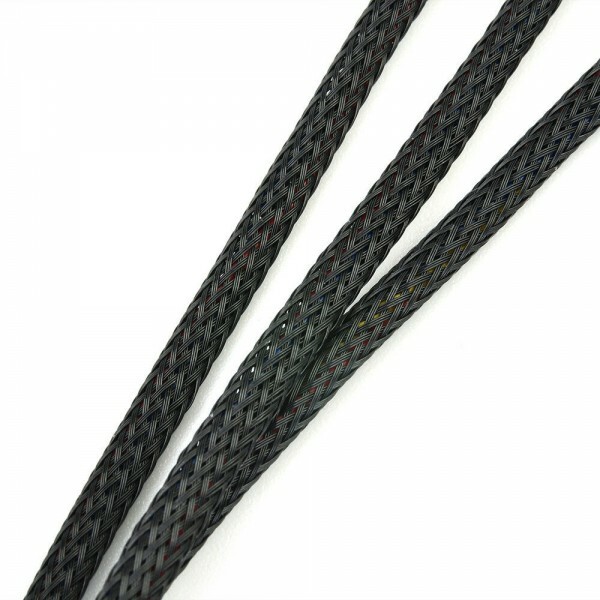 The cable is 4-pin female split to three 4pin male, suitable for CPU or computer case fans. 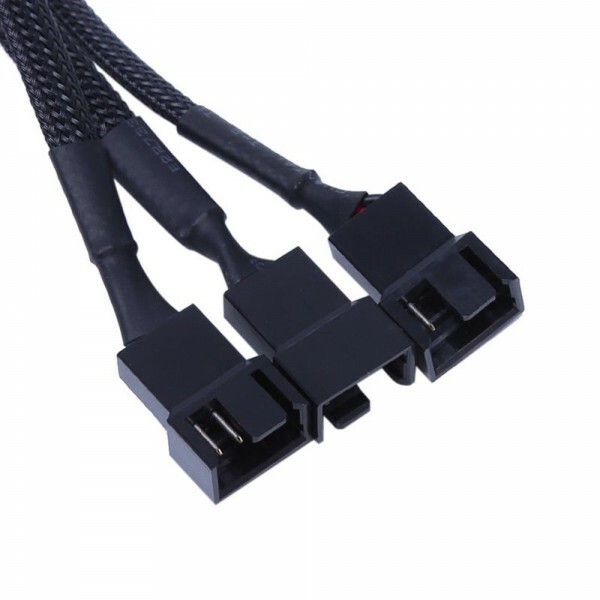 The first fan needs to connected to the the connector with 4 pins so the motherboard can sense the fan.